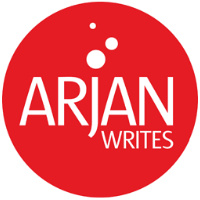 Congratulations to ArjanWrites.com reader Ricardo Bairos for winning tickets to see Robyn's private iheartradio performance last night at the P.C. Richard & Son Theater in New York City. Robyn played 7 songs including "Cry When You Get Older, "Dancing On My Own," "Show Me Love," "Sleeping Wth A Broken Heart," "Be Mine," "With Every Heartbeat" and new single "Hang With Me" (which was missing at her Brooklyn show on Wednesday). A big thank you to the fine folks at iheartradio for teaming up with me for the contest, and sharing videos and photos of the show. Looks like an amazing time. Watch Robyn's performance of "Dancing On My Own" (plus a little interview intro) after the jump and see photos of the event right here.